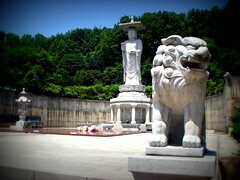 This blog chronicled my life living and working in Seoul, South Korea from August 2006 to June 2008. I had a wonderful time. All text and photos on this site are my own unless stated otherwise. I am happy to give advice about Korea-- just swing me a message! MacKensie's Korea Blog by MacKensie Cornelius is licensed under a Creative Commons Attribution-Noncommercial-Share Alike 3.0 United States License.